96,99 € You save 20% (19,40 €). 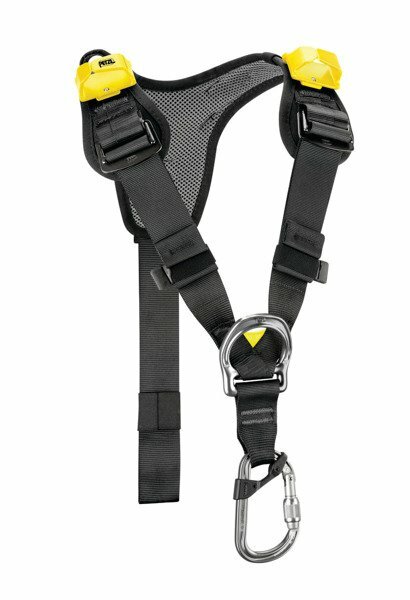 The TOP chest harness transforms the AVAO SIT, FALCON and SEQUOIA SRT seat harnesses into fall arrest harnesses. The foam shoulder straps are widely spaced to reduce neck chafing. When the waistbelt is loaded, they help distribute the load over the shoulders. Foam shoulder straps are widely spaced to reduce neck chafing. When the waistbelt is loaded, they help distribute the load over the shoulders.